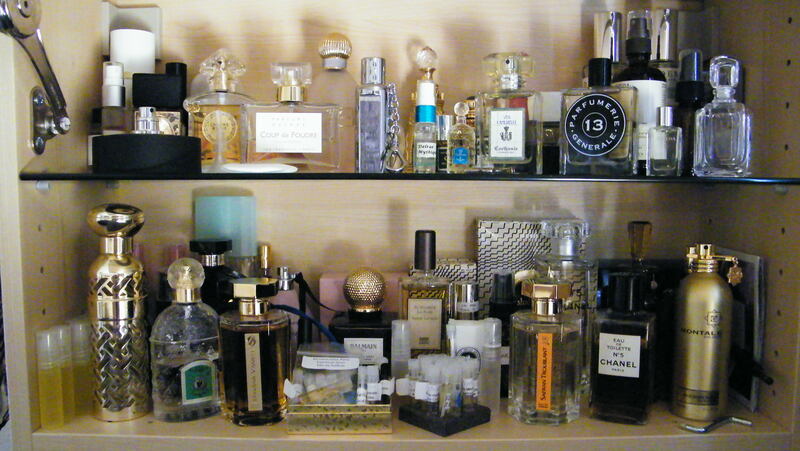 I’ve been searching for a perfume cabinet for some time, and finally found something… as you can see, it’s not perfect (I’m almost out of room already! ), but it’s pretty good. I found this one at IKEA for about $50. It mounts on the wall—I have it on my dresser, but it’s also secured to the wall for safety—and it has a secure arm that holds the cabinet door open for as long as you like. The glass shelf looks pretty, and over all, I like the look. However, as I noted above, in the month since I bought the cabinet I’ve added a few bottles, and it’s getting pretty cramped. I’ll need a second one before too long! This nice article assited me a lot! Bookmarked your site, very interesting categories just about everywhere that I read here! I like the information, thank you.